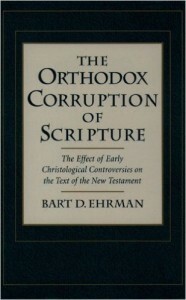 « Is Ehrman’s Pre-Pauline Quotation an Anti-Marcionite Interpolation? So what could have motivated Luke to do something like this? In fact there is a good explanation for why Luke would want to use these preliterary traditions in his speeches: because they encapsulate so well his emphasis in these addresses to “unbelievers” that God has drastically and dramatically reversed what humans did to Jesus, showing thereby that he had a radically different evaluation of who Jesus was. Humans abused and killed Jesus; God reversed that execution by raising him from the dead. Humans mocked Jesus and held him to be the lowest of the low, an inferior human being; God exalted Jesus and raised him to his right hand, making him a glorified divine figure. These preliterary fragments provided Luke with just the material he needed to make this point, and so he used them throughout his speeches in order to stress his powerful message. The Almighty God had reversed what lowly humans had done, and Jesus, far from being a failed prophet or a false messiah, was shown to be the ruler of all. By raising Jesus from the dead, God had made him his own Son, the Messiah-King, the Lord. Ehrman, Bart D. (2014-03-25). How Jesus Became God: The Exaltation of a Jewish Preacher from Galilee (pp. 229-230). HarperCollins. Kindle Edition. So theologically Luke, we are to assume, did not technically agree with the words expressed, but he did love the way they advanced his larger literary theme of reversal of fortunes so admirably. I am reminded of arguments by Paula Fredriksen and Burton Mack to the effect that if we have a literary-narrative explanation for what we read, something that appears because of the way it so neatly advances the plot, then we have a satisfactory explanation and need not seek to find additional reasons for the literary element. They were talking about the Temple “action” where Jesus cast out the money-changers from the Temple. They see no reason to assume its (otherwise quite implausible) historicity. See Why the Temple Act of Jesus is almost certainly not historical for details. But if inconsistency is Luke’s trademark . . . .
As happened when reading Ehrman’s arguments around Romans 1:3-4 questions arose in my mind. 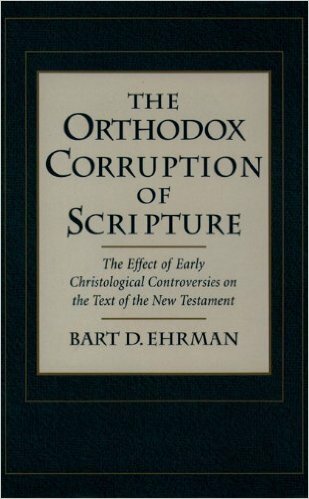 These led me back to an earlier work by Ehrman, one which I found much more impressive than some of his later outputs: The Orthodox corruption of scripture : the effect of early Christological controversies on the text of the New Testament. There it is interesting to read a quite different approach and conclusion to some of these very passages in Acts. 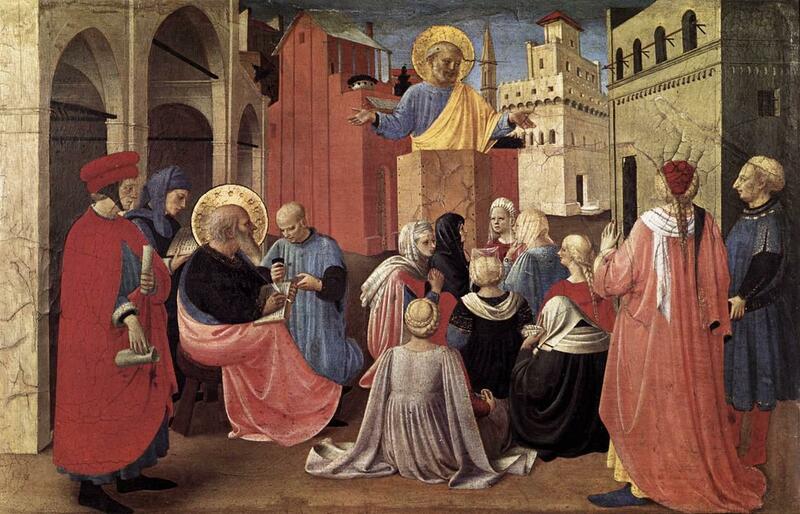 An obvious example comes in Luke’s depiction of Jesus as the Messiah. According to Luke’s infancy narrative, Jesus was born the Christ (2:11). whereas in another Luke explicitly states that he became the Christ at his resurrection (2:38). It may be that in yet another speech (3:20) Jesus is thought to be the Christ only in his parousia. Similarly “inconsistent” are Luke’s predications of the titles Lord and Savior to Jesus. but in Acts 2:38 he is said to have been become Lord at his resurrection. but according to Acts 5:31 he is said to have been made Savior at the resurrection. but Acts 13:33 states that he became the Son of God at his resurrection. 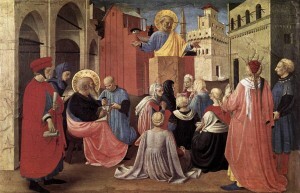 I’m reminded here of other arguments I have encountered suggesting that Luke is the most catholic of the evangelists, or at least the person who produced the final canonical version of our Luke-Acts, in that he incorporated a wide range of beliefs, including some contradictory ones and those found in the earlier gospels (including possibly John). Anyway, whatever we think of that thought, the quotation above from Ehrman’s earlier work kind of pulls the rug out from his current arguments in How Jesus Became God to the effect that Acts contains evidence that the earliest followers of Jesus held on to a primitive Christology. Posted on 2016-02-24 22:48:36 GMT+0000 by Neil Godfrey. This entry was posted in Biblical Studies and tagged Christology, Luke-Acts. Bookmark the permalink. The practice of ad hockery often seems to lead to these self-contradictory or mutually contradictory arguments. These sorts of things are advanced for the defense of a pre-determined conclusion without any concern for simply following any line of reasoning wherever it leads without fear or favor. I’m sorry, but why, why why why, does Ehrman try to read the Gospels back into the Epistles like this. It’s one of the reasons I’ve stopped reading him. He clearly tells us that we have to read the Gospels seperately and let the authors speak for themselves, and then he pulls stunts like this. The gospels and Acts are pure fiction. Acts is internally inconsistent (actually contains blatant contradictions). “Luke” clearly had Josephus in mind and Paul’s letters when he penned his literary fiction. All the gospels rely on Josephus. I would never base any argument of fact on these sources unless it was to show how the literature was created and what purpose it served. Luke in Acts created a whole milieu out of bits of history and his imagination. His purpose was to shore up belief in a foundation myth. Of course he added little touches to make it seem authentic and primitive. Primitive Christology was part of the mix. So Ehrman is showing that Luke held many different views as to when Jesus became Christ? He hints that one of them, the earliest one perhaps, sees Jesus as becoming Christ only after the resurrection. Which has for most contemporaries, proven his status. But how is that established as the earliest view?
? Was Ehrman arguing earlier that Luke would want to be consistent? Or arguing that Luke’s other combinations of different beliefs mean that we can not label such combinations as non Lukian? As I understand Ehrman, he is saying in his debate with Bird arguing for the gradual development from a low to a high Christology that an inconsistency in Acts is an indication that a passage does not originate from Luke’s personal beliefs but has been introduced by Luke from some other source. The assumption is that we should expect consistency from the pen of Luke. Earlier, however, Ehrman had spoken of this assumption (the assumption that “Luke would not predicate the same christological title to Jesus on the basis of different moments, or junctures, of his existence”) as a “dubious premise” (p. 64). I’m not sure if I have only repeated your confusion, sorry. So Luke contains earlier strata not consistent with the author’s beliefs? How does that prove historicity? All it proves is earlier cultists had differing beliefs about Jesus. It can be demonstrated the author used Josephus’ writings, putting their work after c.100AD. A huge chunk of mainstream scholarship would have these works as a reaction to Marcion so putting them after c.140AD. 2-4 generations after Paul; post 1-3 major wars that devastated the Jewish communities across the eastern Mediterranean. We have far, far greater knowledge and far, far better tools to investigate than even the most senior magistrates and most connected intellectuals of the Roman Empire and cannot state anything about the matter with anything approaching certainty. For all practical purposes the Luke author and their sources had no way whatsoever of knowing the veracity or otherwise of their beliefs and assertions. The paltry remains of the Roswell weather balloon became a full blown UFO conspiracy/myth within ten years in the modern era with all our vaster knowledge and resources for gawd’s sake! If anyone thinks, having examined the evidence, Jesus has more than a 1 in 4 chance of being a real person (And that is being way,way generous! ), they are bonkers. End of.